First of all, Happy New Year to you all ! I’m hoping you had a fabulous time with those you love and you’re ready for all the wonderful possibilities 2014 is sure to offer. You may or may not know that I write 2 blogs. 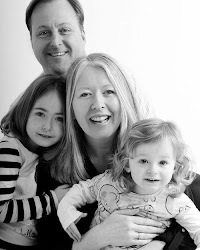 There’s The Mad Mummy Musings, but there’s also my very first blogging baby, Sophia’s Choice, my Green Lifestyle Blog, which I gave life to a few months prior to this one. They’re both quite different and allow me to write and share in slightly different ways. They have over the past 15 months given me an outlet, a place to call my own where I can indulge my passion to write. This year has been an eventful one in many different ways. We have now finally settled into the second home we moved into within a 11 week period last November and slowly but surely the scars left from losing my Mum just over 2 years ago to lung cancer are finally healing. I feel her presence with me daily particularly when I write. It’s as if she is guiding me and helping me follow my passion, pointing me in the right direction. The more I write, the more I need to. The latter 3-4 months of this year took me away from my blogging and I missed it terribly (It’s funny but once you give yourself an outlet to write, the need grows stronger rather than diminishing). 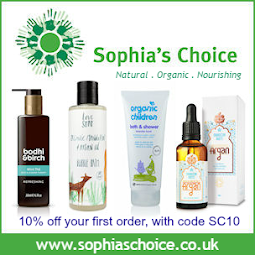 My focus had to be on launching my new business venture, an online shop, which now runs alongside Sophia’s Choice blog. It’s all been very exciting if not a touch daunting. If you are interested in reading about my blogging year with Sophia’s Choice then you can pop across and have a read here. Now that little Tink is at nursery my world is once again opening up and new possibilities are presenting themselves. My online shop is one of my new passions and I’m really looking forward to seeing how she grows and what opportunities I can create for her over the coming year. I’m keen to develop this blog further too. I have clearer ideas of what I’d like to share with you and write about here on The Mad Mummy Musings. I love writing about important issues that affect us all, I love being outdoors and sharing our experiences as a family in that respect. Linking up to Country Kids with Fiona from Coombe Mill has been great fun over the past year, sharing our adventures in the open air. It will be good to get back to doing more of that in the coming months. We’d also like to involve ourselves more in the monthly link ups with the TOTS100 Center Parcs challenges too this year. I love to cook and create healthy food. I’m currently studying for a Nutrition Diploma to take my passion for health, food and nutrition further, so look out for some “foodie” posts coming your way this year. I met my husband when we were doing an HND in Hotel & Catering Management so I’d love to take my passion and experience in this area further through this blog. There were a few blogging opportunities which I never had time to pursue last year which I’m hoping may still be possible in 2014. I’d love to do more freelance writing too. This was an area I’d hoped to develop in 2013 but having Tink still so small meant that I had to prioritise what I could and couldn't do. I’m hopeful that opportunities will present themselves when the time is right and I can perhaps earn an income from my passion to write. There’s always been a book locked up inside me so who knows, maybe 2014 is my year to revisit that ambition. And last of all, I intend to get organised ! 2013 was a year of disorganisation to some degree for me and I didn’t like it one bit. I am by nature an organised and tidy person. Clutter and mess affect my ability to think clearly. Having small children challenges that trait in me daily ! So 2014 will be the year I get that clear, tidy house I can always see in my head. I will bring my vision into reality. I will ! 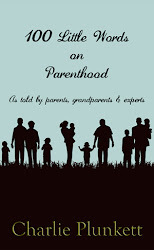 So my lovely readers, I’m excited about growing and taking this little blog to bigger and loftier heights. I’m hopeful you’ll join me and still enjoy my new musings over the coming year. 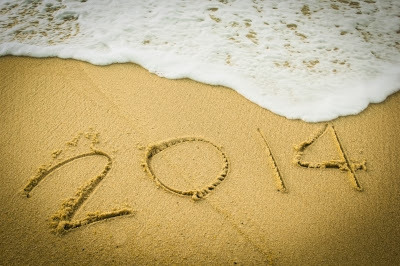 I feel privileged to have you on board for the ride and hope 2014 is everything you want it to be. Aw! Thank you Charlie. What a lovely response! Happy new year to you too! Juggling motherhood, business, and everything else in-between is really not an easy task. We really have to choose some of them to prioritize. But now that your little one can spend time in the nursery, it’s an open opportunity for you to do the things you love and concentrate on your business. The business part, in my opinion, will not be a problem since you have a good website, and utilizing social media has been very helpful in promoting your business.